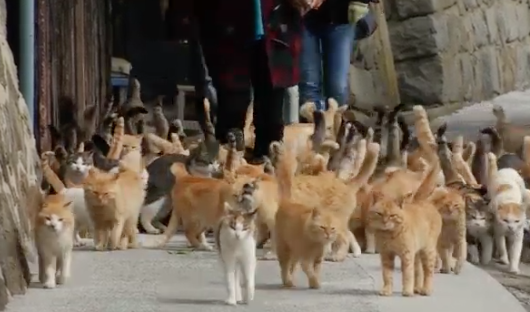 Aoshima is a remote island in southern Japan, home to 22 humans and over 120 cats. The island has no shops, restaurants, kiosks, or even cars, but it is still becoming a tourist spot with people coming to see the cats. 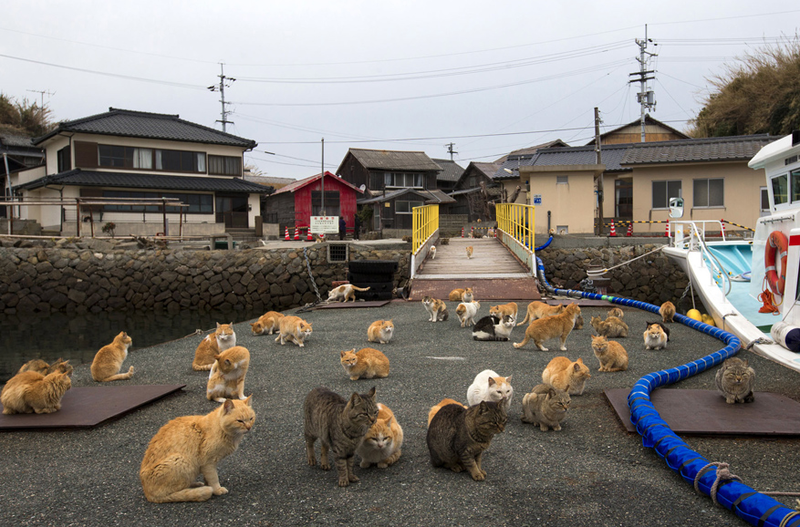 The first cats arrived to Aoshima to deal with mice, and the island used to have a normal cat-to-person ration. In 1945, the island was home to over 900 people. Since then, humans have migrated away, and cats multiplied. Most of the houses on the island are abandoned, and cats have moved in. They even live in the old school. The cats have a designated feeding place, and the city official brings them food. 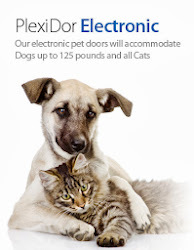 See more images of the cats here. Would you like to visit a cat island? Does it sound like a paradise or a disaster to you?